The rent at Gardens at Camp Creek Apartments ranges from $825 for a one bedroom to a $1,280 two bedroom. Apartments in this building are about 41% less expensive than the Atlanta average. This is a pet-friendly apartment. This apartment is in Atlanta. Nearby parks include Jamestown Park, Delano Road Park and Brandon Memorial Park. Gardens at Camp Creek Apartments has a Walk Score of 17 out of 100. This location is a Car-Dependent neighborhood so almost all errands require a car. 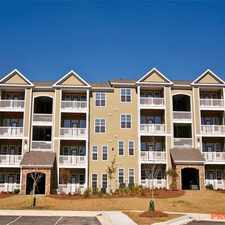 Welcome to The Gardens at Camp Creek Apartments in South Fulton Atlanta, GA. Perfectly located at walking distance to southwest of Atlanta's city center, camp creek marketplace, dining & entertainment, and Atlanta Hartsfield-Jackson Airport. Our apartments feature one, two and three bedrooms apartments for rent that are sure to please even those with the most exquisite taste. If you're looking for a comfortable and pleasant home, you should visit The Gardens at Camp Creek Apartments in Atlanta, GA. Call us to visit today! Explore how far you can travel by car, bus, bike and foot from Gardens at Camp Creek Apartments. Gardens at Camp Creek Apartments has some transit which means a few nearby public transportation options. Car sharing is available from RelayRides. Gardens at Camp Creek Apartments is in the city of Atlanta, GA. Atlanta has an average Walk Score of 49 and has 420,003 residents.